What is feeding therapy? Does your child need it, and if so, how do you get it for them? 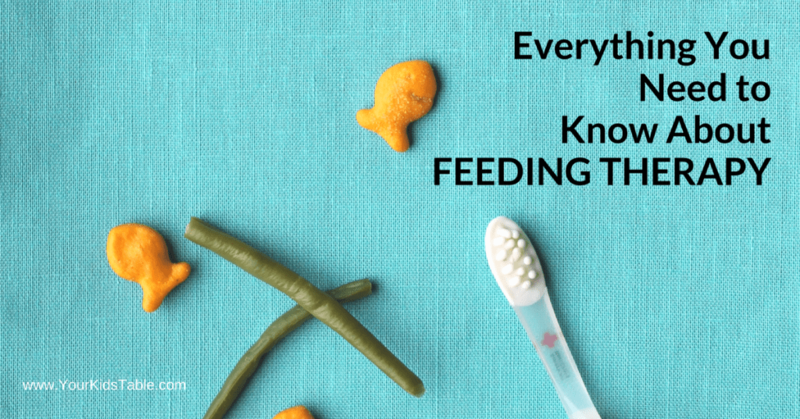 Get answers from a feeding therapist to help your child! For well over a decade a big part of my job as an occupational was doing feeding therapy with kids, mostly in peoples homes through early intervention, but also in a private school setting, too. And, over the last 5 years, there have been more emails then I can count from parents asking if their kids that were struggling with picky eating or transitioning off baby food actually need more help. In many cases, feeding therapy is one of the best ways to get help from a specialist. While some of you have heard of feeding therapy and are considering it, I know for others it is a very new concept and may be something brand new to you. Either way, by the end of this post you will know exactly what feeding therapy is, who it’s for, and how to get to help. Plus, a bunch of other important tips, too! Basically, in its simplest terms, feeding therapy helps children learn how to eat or how to eat better. Feeding therapists provide feeding therapy and are usually occupational therapists (like myself) or speech and language pathologists (SLP). Some dietitian/nutritionists provide direct treatment, but more often provide support with additional services for some children to manage any weight or growth concerns when it is necessary. No matter what their background, it is important to note that “feeding” is a specialty within a specialty. Not all OT’s and SLP’S are trained in pediatric practice, and not all pediatric therapists have advanced feeding therapy education and practice either. Feeding therapy often happens on a weekly basis, but can be every other week or once a month during a scheduled block of time, usually 30-60 minutes long. 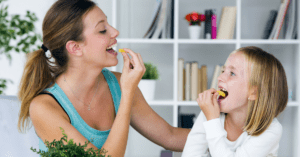 Most often, this time is spent teaching your child how to eat new foods (if they have a very limited diet) or how to eat (if they don’t know how to chew or manage food in their mouth). 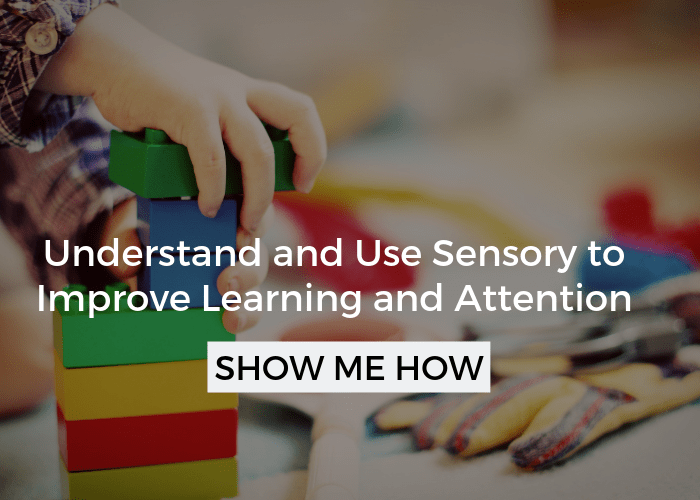 But, depending on the child’s underlying challenges, you may see your child participating in sensory integration activities or completing exercises to strengthen the muscles they need for eating. Exercises will likely be things like blowing bubbles, making silly faces, or using whistles. Before you get to weekly appointments, an evaluation is completed first, which usually consists of observing the child eat and interviewing the parent. Not very invasive at all. After the eval, a team of professionals or the therapist that completed the eval makes a recommendation for how often feeding therapy takes place. At this time, goals are written that guide the direction of therapy. The goals are usually specific and include the parents concerns. For instance, a feeding therapy goal might be: Suzie will drink from an open cup independently 75% of the time, or Logan will eat and swallow three new foods independently within 30 days. Sometimes, feeding therapy is done one-on-one with a child and therapist. Other times, it’s with a group of children that all have similar goals because a group dynamic can be very motivating for kids. But, feeding therapy may also be done with the parents, which is definitely the case in an early intervention setting, we’ll talk more about that in a minute. Who is Feeding Therapy for? While I gave you a general idea in the section above, I want to get really specific because I know a lot of you are here reading because you want to know if YOUR child needs feeding therapy. Generally speaking, feeding therapy is extremely helpful and strongly recommended if your child is having difficulty actually eating. This is most common with children that have special needs or medical challenges that may make it physically difficult for them. Is Feeding Therapy for Picky Eaters? Well, for me to answer that question you need to know that not all picky eaters are created equal. 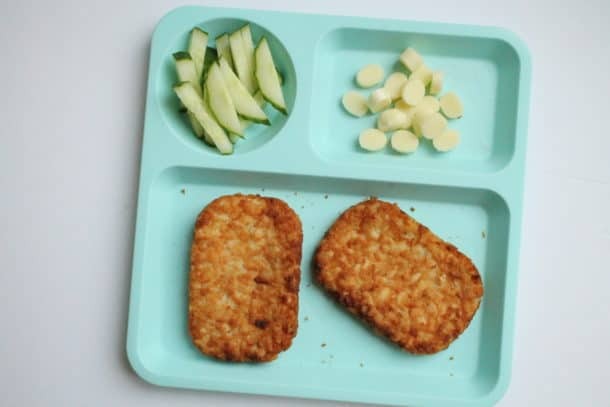 It’s a blanket term that we use to describe any child that basically has food preferences or maybe doesn’t like vegetables, but also includes kids that gag or even throw up at the sight of new food and only have 5 foods that they eat. That’s quite a range! Obviously, feeding therapy isn’t necessary for all of them. Feeding therapy is recommended for more extreme picky eaters that have a very limited diet and stress around trying new foods. Head over to When Won’t Eat and Extreme Picky Eating Red Flags to understand more. Is Feeding Therapy for Toddlers? Depending on the challenges a child is facing, infants can actually be in feeding therapy, so, just to be clear, age doesn’t matter. 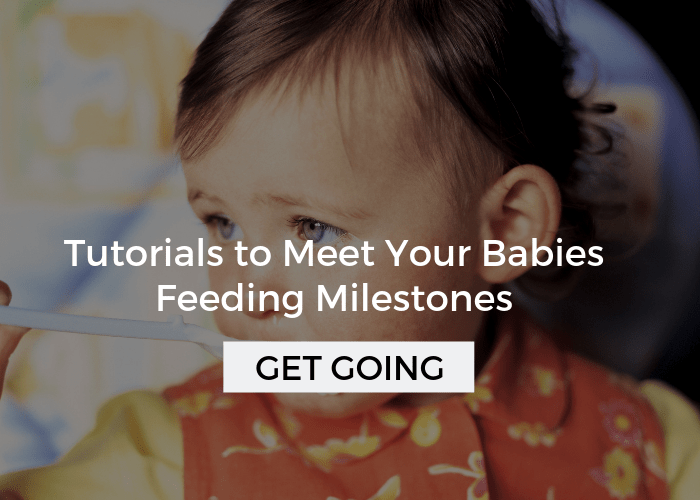 But, if you’re asking this question, it may be because your toddler is behind on some feeding milestones, and you’re wondering how long you should wait to see if it improves on their own. For example, maybe your 14 month old is still only eating baby food and you’re not sure if they know how to chew. Or, maybe they cough every time they drink from anything other than a bottle. Another common concern is a sensitive gag reflex. In any of these cases, reaching out for an eval is good thing. Your child may or may not end up qualifying for therapy, but at least you will know if they need more help. And, with any evaluation you will get some suggestions for activities to try at home, which may be all you need! To read about more possible feeding challenges check out Feeding Red Flags. Also, keep in mind that picky eating often starts for children when they are toddlers, and that it is a normal phase. If you feel like it is getting out of control or is beyond any limits of normal, than this would be another instance that a toddler may need feeding therapy. At this point, you should have a pretty good idea if feeding therapy is something you should consider or not. Let’s look at your options. First things first, its always a good idea to talk to your pediatrician. They should know the best options in your area. BUT, and this is really a big BUT, if you explain your concerns and don’t get an answer that sits well with you, don’t hesitate to get a second or even third opinion. Sometimes feeding issues may seem like typical development on the surface, especially to a doctor that is getting a quick run down, which is why I want you to listen to your gut. It’s also important to know that in many cases you don’t need a referral or recommendation from a doctor to proceed with feeding therapy. However, whenever possible it’s best to have your child’s doctor on the same page as you. Clinic or hospital – Children’s hospitals and many of their satellites offer feeding therapy. Early intervention – For children under 3, and in some cases under 5, for children that live in the USA. This therapy takes place in your home. School – This is much more rare, but if your child is in a school for special needs, feeding therapy will be covered at school. In the majority of typical public schools this will not be an option. Early Intervention is free or mostly free. I have a whole post completely dedicated to early intervention, check it out for how to get in touch with your specific state. I was an early intervention therapist for many years, its very near and dear to my heart! Lastly, if your child is in an approved private school for children with special needs and you think your child would benefit from feeding therapy, ask the team about it! Behavioral – The traditional method of feeding therapy that uses rewards to gain new foods eaten. 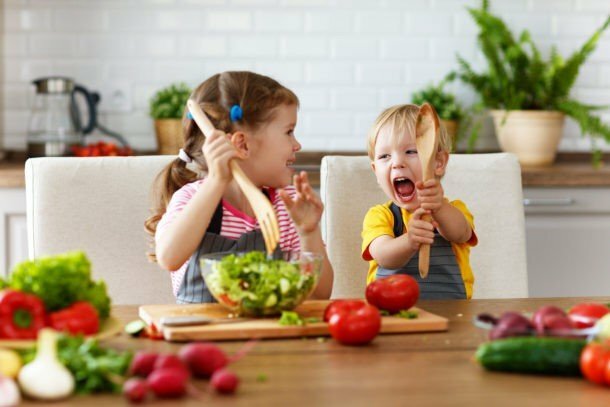 For example, your child may be given a sticker, toy, or electronic device for successfully taking a bite of a new food. To get another sticker, toy, or more time with the electronic device, they need to take another bite. Over time, these rewards should be phased out, although that isn’t always the case. Child directed – This is a more modern approach and is positive in nature. Parents are more involved with this type of treatment and there is a focus on addressing the underlying cause of the problem (i.e. sensory, medical, etc.). While this approach can take longer to see results initially, there is research that supports the effects are longer lasting. The SOS approach to feeding and Ellyn Satter’s work fall under this category. You can read more about Satter’s technique in my favorite Picky Eating Strategy. I will be completely honest in saying that I use and support the child directed approach, but I respect parents and other therapists that choose to go the behavioral route. If it’s important to you that your child’s feeding therapy does or does not include one of the above approaches, make sure you ask when you schedule an appointment what approach they use and the experience level of the therapists. If the clinic or therapist can’t accommodate you, then it will be best to call other facilities until you find a good fit. Are There Other Options for Help? You’ll learn my 3 most basic strategies that are totally essential to making eating progress with your child. 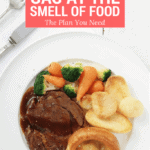 It’s packed with simple tips you can start using today! Get a seat here. There are also a treasure trove of really specific articles and posts here for different feeding challenges. 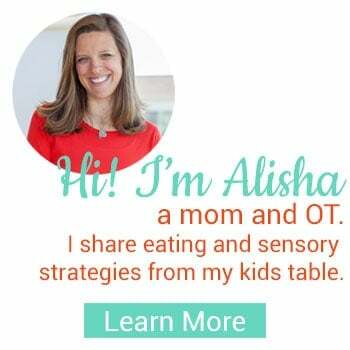 You can head to my Start-Here Guides to find the best resources for whatever feeding challenge you’re trying to help your child overcome (i.e. 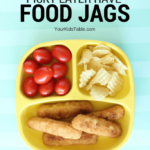 : picky eating, transitioning to table foods, and sensory processing). 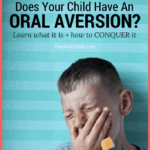 And, if after reading this you are concerned about possible sensory issues with your child, either related to their eating or outside of it then you’ll want to stop over to sensory integration therapy to learn if it would help your child. Save it now so you can find it again later! I’m so happy I found this page , I thought my son was the only one . I’ve been searching for answers to which I thought was only a problem with my son . He is a problem eater , he is about to be 5 yrs old on Tuesday and I’ve been struggling with his eating since he was about a year old . He had no real interest in foods , has ALWAYS been extremely picky . His ‘food inventory’ has been getting smaller and smaller . Some Foods that he would eat before, he won’t touch anymore . He has a huge anxiety about being presented with new foods/meals and has anxieties when events at school come up where they will be taking foods . When all the other kids are excited to being treated to foods, he will come home saying he doesn’t want to go to school because there will be snacks or food for them . I had been hoping for past few years that the feeding issue would naturally resolve on its own .. but it’s just gotten harder . Not to mention the comments I receive from people about him not eating like everyone else as if I’m not doing my job as a mother . I have a 6 month old and can absolutely tell the difference from when my 5 yr old was this age. My 6 month old already wants to grab all foods in front of him and my eldest was not like that, still isn’t . I’ve tried bribing my son to take just a bite of any new foods and that’s only worked very few times . How do I find a feeding therapist near me? We have Kaiser as his doctor told me they don’t have that . Hi Michelle, I know how frustrating it can be. Know that you’re not alone and this is an issue a lot of people face. I have a post about feeding therapy that you can check out here. There is some info and links in there on how to get feeding therapy. 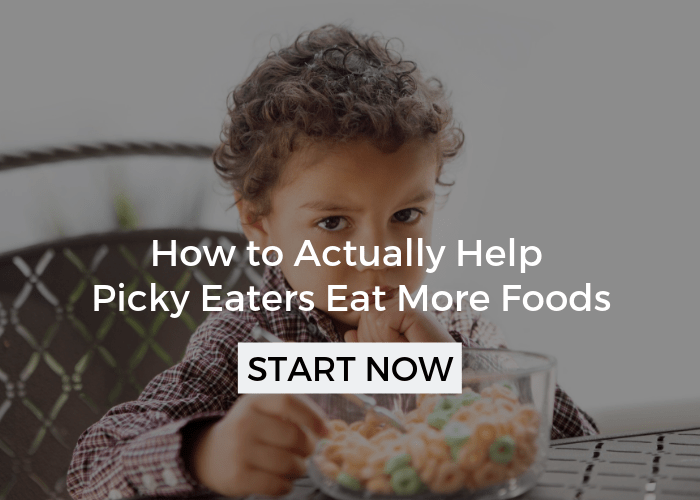 Also, have you been able to watch my free workshop: 3 Keys to Turning Picky Eating Around. I think it could be helpful for you as well. You can sign up for that here. 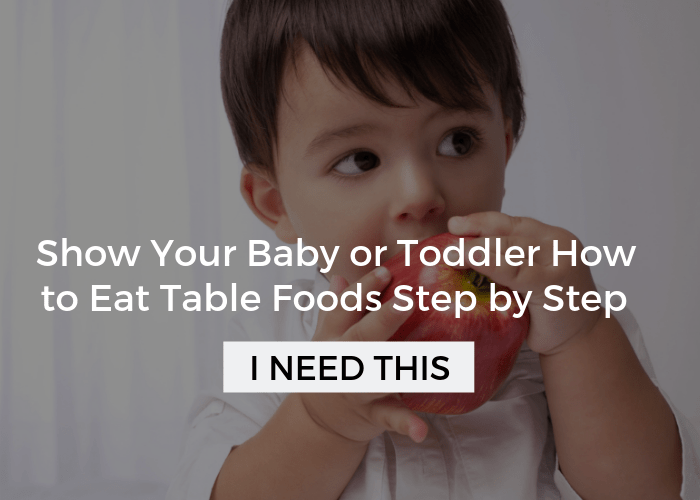 Cheryl we have an article that’s perfect for you at How to Transition Your Baby to Table Foods, it breaks down the steps! I am an OT and looking to get some additional feeding training. I’ve heard the SOS feeding trading is the best, what do you suggest? Is that a good one or would you recommend another? Thanks so much. I would highly recommend the SOS training! I am very concerned my niece of 10 years of age does not want to eat, because she is scared that she is going to throw up she had a very bad experience where she threw up after eating some hot Cheetos and she threw up all over her mom and then she saw one of her classmates throw up in front of her and ever since she is scare that she is going to throw up. She has lost a lot of weight. I am very concerned because she is starting to have bad breath as well. Please help. This is something that feeding therapists are quite familiar with. I have additional tips in 5 Reasons Kids Don’t Eat, that I think will be helpful, as well as a free workshop you all can watch. That is emetophobia, not a developmental or sensory issue. I have been emetophobic for more than 20 years. It affects my life in a huge way every day. Definitely talk to her mom about seeking some sort of help. Although it may sound strange, some eating issues can stem from infection and is not behavioral at all, but rather neurologically based due to brain inflammation. Please look up and alert parents to the possibility of PANS/PANDAS. We experienced this with my child where he refused to eat many foods and would throw his dinner on the floor; he was also quite irritable. As a psychologist, I immediately tried many behavioral strategies that were ineffective. It was only when we tested and treated for strep throat (and took blood work as well) that he spontaneously recovered from his disordered or picky eating. Thanks for sharing this! Recently, I’ve become aware of a few cases of this occurring. It’s definitely something to consider. Hello! I am actually a student who is very interested in occupational therapy and feeding therapy. 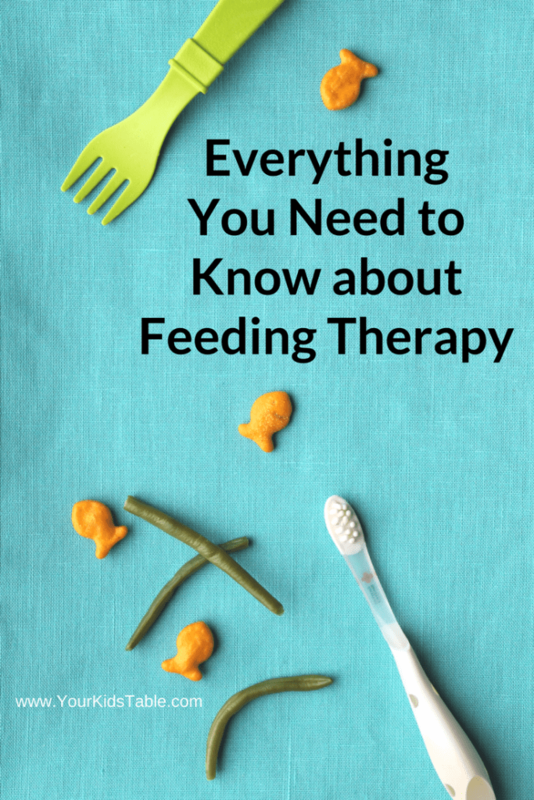 I have been searching and researching to learn more about feeding therapy, especially from therapists who can help me understand more about the day-to-day life of a feeding therapist. I know this might be a stretch, but I would love to talk with you about your experiences if you be willing! I have recently graduated with a Bachelor’s and plan to go to OT school in August. I am just searching for more advice before I commit to 3 years of school. I understand if this is not possible. Thank you for considering! Please just email me privately if you would not mind talking with me. 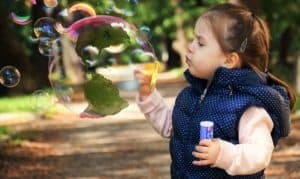 What is the best ways to teach a child to blow? I know a child who does not at all blow and even does not puff his cheeks out. He is already 4 years old. It can be really tricky, I’d start with cotton balls and demonstrate 1000 times! My son has a g tube for eating, he dose not eat , he only drinks water. And we had a swallow test for him and everything was good. He has been retching/ vomiting more often. We make his food. I’m so sorry Keith. Are you in feeding therapy? I am concerned about my granddaughter who is 2&1/2 and wont eat table foods at all. She drinks alot milk, eats snac foods but very limited. Will have a pouch with pureed food but only the sweet ones, but cookies, candy, ice cream, cake- no problems getting her to eat these. She is however healthy and right where she needs to be on growth charts and very smart. Her mom and dad are not as concerned, but to appease me, plan to get their doc’s opininion, who has told them in the past that she gets all the nutrition she needs from milk, which I disagree with, what is your opinion? This is so tricky Charlette, based on what you’ve told me I’d definitely want her to get a feeding eval. In the states this is free and they come to your home for kids under 3, you also don’t need a prescription, the parents can call. What I’d be most concerned with, is that she has some underlying challenges that can cause extreme picky eating as she gets older. I’m sure she’s growing, because she does get enough calories and fat from milk, but she isn’t learning to eat. I hope this helps! I just found your blog. My 23 month old has been going to feeding therapy since she was 16 months old and I’m getting very frustrated. I’ve seen very little improvement and I’m questioning the effectiveness of what we’re doing. She is still primarily eating purees for meals with little to no table food (veggie straws and ritz peanut butter crackers are some of the few finger foods I can get her to eat). She was eating a few bites of toast, but we had a set back and she won’t even eat that anymore. If I put any food on her plate at dinner she will immediately take it off of her plate and put it on mine. Her therapist uses a child-driven approach. I’m at my wits end and I’m not sure where to go from here. Should I be concerned that her current therapy isn’t working? Is there something else I can do? It’s definitely something to consider and I always tell parents to trust their gut. Do you know if this therapist has a lot of feeding experience? I would expect to see more progress at this point, it has been quite a while. Child directed is great, but specific interventions and strategies are usually needed to, are you seeing that? Do you have specific things to be doing at home? If this is early intervention based services you can request a new therapist, just make sure they have feeding experience. Also, there are some really helpful articles on here too that can help with some of her challenges. Let me know if you need some direction on that front.